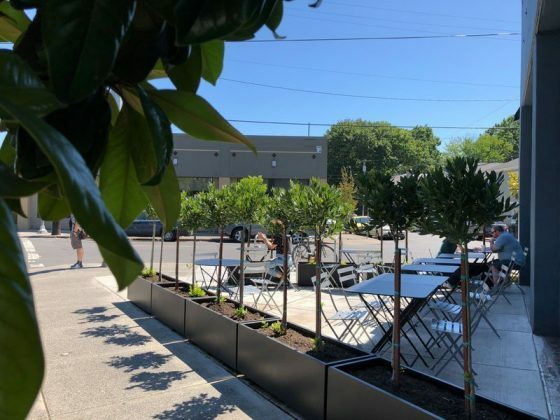 Providore Fine Foods, a gourmet market, butcher, bakery, deli etc., has a patio at the intersection NE 23rd and Sandy Blvd. Get a sandwich or some baked goods from the branch of Little T Bakers and have lunch. The patio has recently been upgraded a bit with better tables and some planters to set it off a bit from Sandy. Category: Portland Outdoor Dining. Related posts about Providore Fine Foods.